New research from Barna reveals that a about half of millennial Christians believe it’s “wrong” to evangelise. The new report, Reviving Evangelism, commissioned by Alpha USA, examines the experiences of persons who share their faith and their attitudes toward evangelising. “Almost half of Millennial’s (47%) agree at least somewhat that it is wrong to share one’s personal beliefs with someone of a different faith in hopes that they will one day share the same faith. This is compared to a little over one-quarter of Gen X (27%), and one in five Boomers (19%) and Elders (20%),” the report reads. Increased cultural hostility to the Gospel and conversations that bring people’s differences into focus make evangelism more difficult today than in previous decades, the analysis shows, as many older Christians do not appreciate the negative forces in society that demean sharing one’s faith. With regard to faith-sharing, 40% of millennial practising Christians strongly or somewhat agreed with the statement, “If someone disagrees with you, it means they are judging you,” which was the highest by far compared to the other generations studied. Only 22% of generation X, 9% of baby boomers, and 11% of “elders” agreed. The study was conducted in May of last year, surveying just under 1 000 practising Christians and 1001 American adults who do not meet the criteria for “practising Christians”, including lapsed Christians and non-Christians. 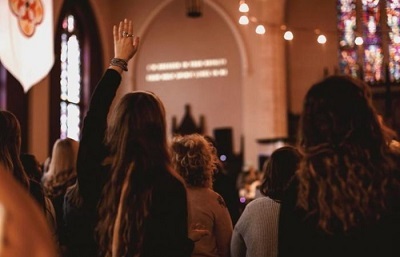 The data shows “enormous ambivalence” among millennial’s about sharing one’s faith among millennial’s, he continued, emphasising that Christians must persuade younger believers that evangelism is essential.